DesignDock Multimedia Ltd is committed to ensuring that your privacy is protected. Should we ask you to provide certain information by which you can be identified when using this website, then you can be assured that it will only be used in accordance with this privacy statement. DesignDock Multimedia Ltd may change this policy from time to time by updating this page. You should check this page from time to time to ensure that you are happy with any changes. This policy was last updated 24th May 2018. We may periodically send promotional emails about our products or other information which we think you may find interesting using the email address which you have provided. We use traffic statistic cookies such as Google Analytics to identify which pages are being used. This helps us analyse data about web page traffic and improve our website in order to tailor it to customer needs. We only use this information for statistical analysis purposes. The cookies collect information in an anonymous form, information like the number of visitors to the site, where visitors have come to the site from and which pages they visited, but we don’t get personal information and can’t track who you are. There is more information available about Google Analytics cookies, and Google offer a Google ‘opt-out’ plugin if you don’t want their cookies to be used in your browser. If you wish to restrict or block web browser cookies which are set on your device then you can do this through your browser settings; the Help function within your browser should tell you how. Alternatively, you may wish to visit www.aboutcookies.org, which contains information on how to do this on a wide variety of browsers. We may also use a number of external web services on our website, mostly to display content within our web pages. For example, to display videos we could use YouTube. We cannot prevent these sites, or external domains, from collecting information on your usage of this embedded content. If you are not logged in to these external services then they will not know who you are, but are likely to gather anonymous usage information e.g. number of views, plays, loads etc. The material on this site is given for general information only, and does not constitute professional advice. You should take specific advice before taking a course of action as we do not accept directly or indirectly any responsibility for loss arising directly or indirectly from reliance on information on our site. 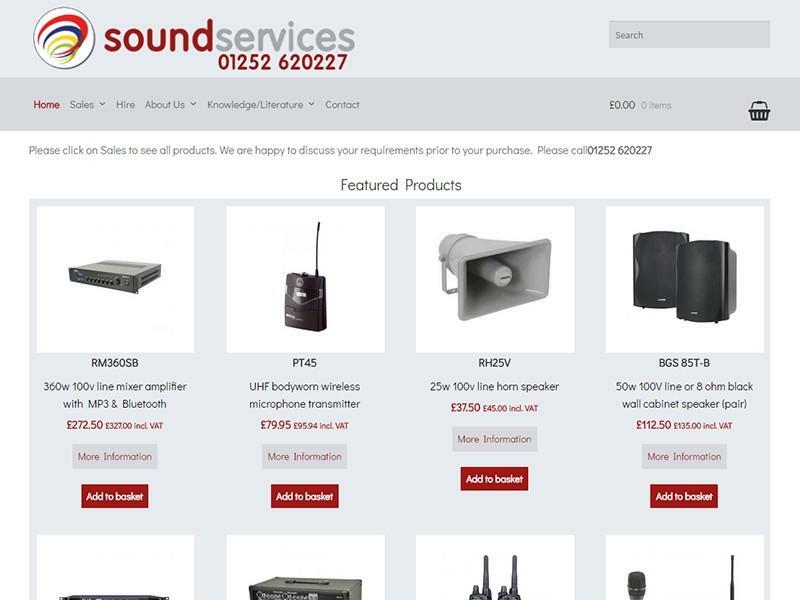 Sound Services hire, maintain, sell, service and install sound systems for all requirements. 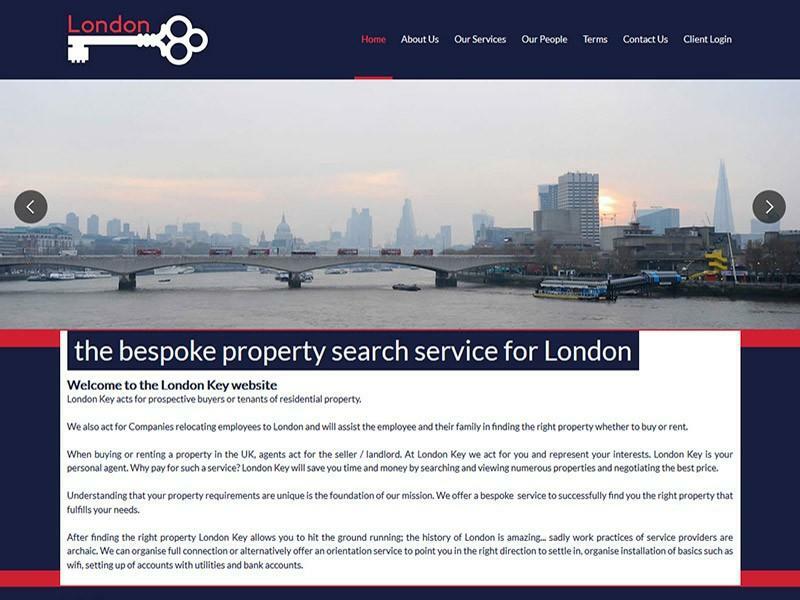 A bespoke property search service for the London area. This website also involved designing a logo and integrating a client administration area where subscribers could contact the client.